"Growing up in England and living in the small Fenland village of Leverington for eighteen years of my life created for me a myriad of memories - some sad, but most of them very happy." Born in the Fenland capital and living in a house that her father built just outside the village of Leverington, in Cambridgeshire, Madeleine Pizzuti enjoyed an idyllic childhood within the safe and warm embrace of a loving family, good friends and a large and lovable extended family. "I can still smell the country air that surrounded us as we sat amongst the gooseberry bushes that day. The aroma of cucumber sandwiches, tea from a flask, bales of prickly straw, mingled with the smell of strawberries ripening in the distance, created for me, a childhood memory that would last forever." Tell Me a Story... is a selection of stories drawn from her childhood memories - from her grandmother's infamous jelly cubes to garden forks that go awry. From donkey rides to teenage crushes and a drummer boy that would make you smile. 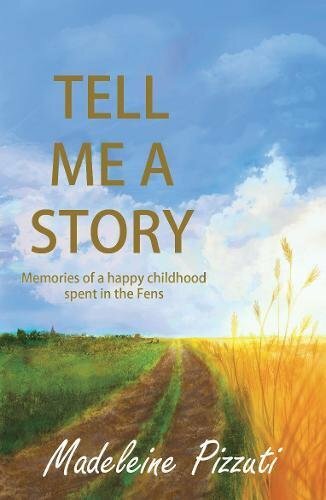 Set between the mid 1950s to 1970s, this memoir would appeal to adults and young adults alike; particularly those familiar with the Fenland district. After leaving the Fens in 1972, Madeleine Pizzuti emigrated to Sydney, Australia where she married and became a mother to three sons. She now works as a Pastoral Associate for the Catholic Church.